This is an advanced level course on Arduino. This course is designed for advanced makers. We’ll help you to get started with the basics of creating circuits with the Arduino and Arduino Mega prototyping board. 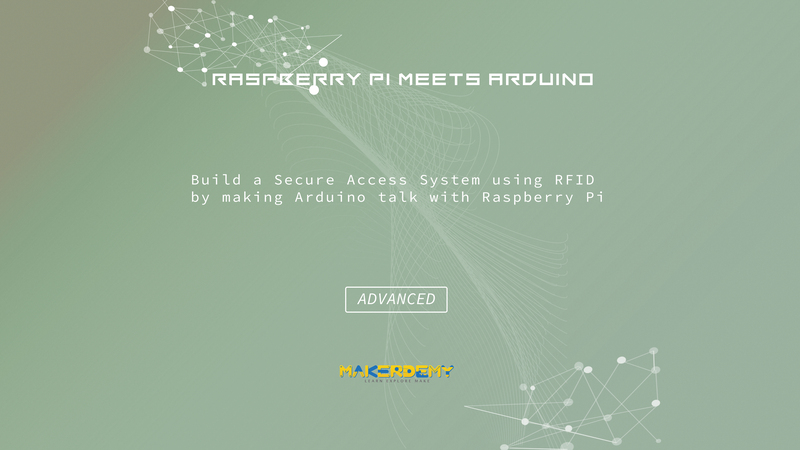 We will show how a Raspberry Pi and Arduino can communicate with each other. By the end of this course, you would have built Security Systems and Access Control with Arduino using Keypad 4×4 and an Employee entry system using Arduino and RFID sensor. RFID tags are used for everything from credit cards and passports to inventory control and door locks. Everyone should know more than a thing or two about them. With this course, you’ll be able to learn how to read, “spoof” and use RFID in both standard and creative ways. Their ubiquitous nature and how little an average citizen knows about them also makes for great science fair and educational projects.